Hairy crab roe is clearly visible here. 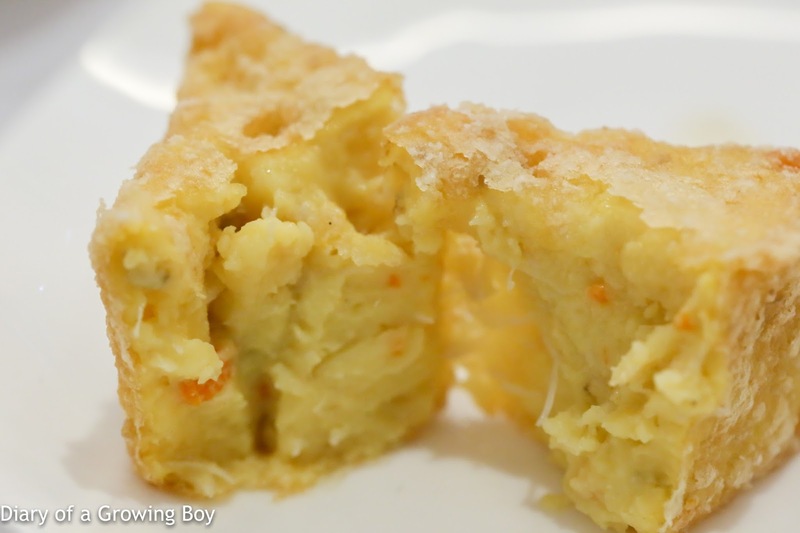 Of course this immediately upped the game in terms of flavor, while still maintaining the soft, wobbly texture of the deep-fried custard - with a nice and crisp exterior. 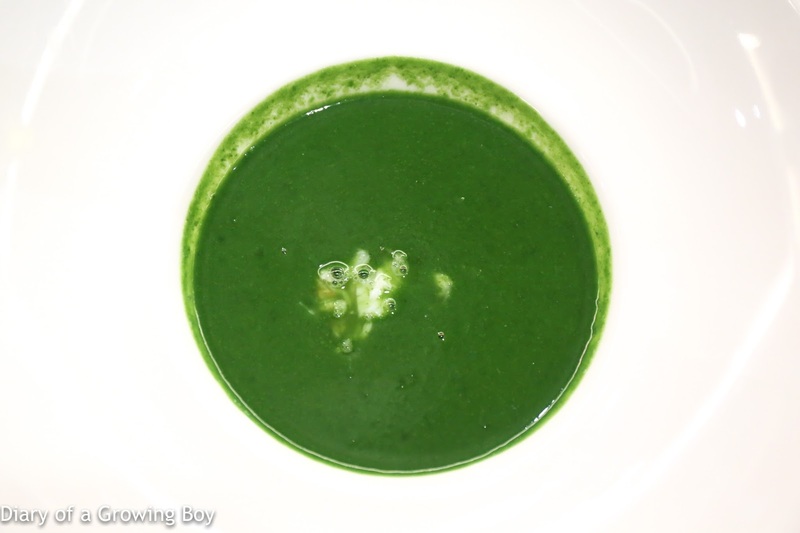 Pea shoot soup with crab meat (蟹肉豆苗羹) - we were told by chef and owner Lau Chun (劉晉) that the pea shoots were frozen to -20°C before being puréed with a Pacojet. 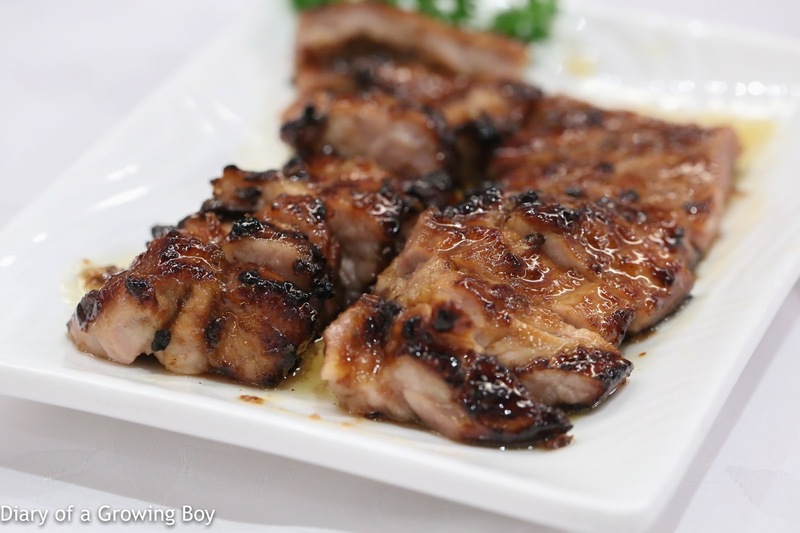 The result is a smooth and incredibly flavorful liquid. Salt-baked chicken with ganbajun mushrooms (乾巴菌鹽焗雞) - this is one of the signature dishes of the restaurant, and the exotic fragrance of the mushrooms hit me seconds after the dish arrived. Gaggan seemed very intrigued by these mushrooms from China, and checked out the raw ingredient. I do have to say that the chicken was as tasty as I remembered from a couple of months ago, and tonight I made sure to have more than a couple of pieces. The accompanying gizzard and liver were also pretty good. Stir-fried spinyhead croaker with Chinese lettuce hearts (生菜膽炒獅頭魚) - another dish that made Hello Kitty very happy. Fillets of a fish that is deemed unworthy of banquet tables or finer establishments. 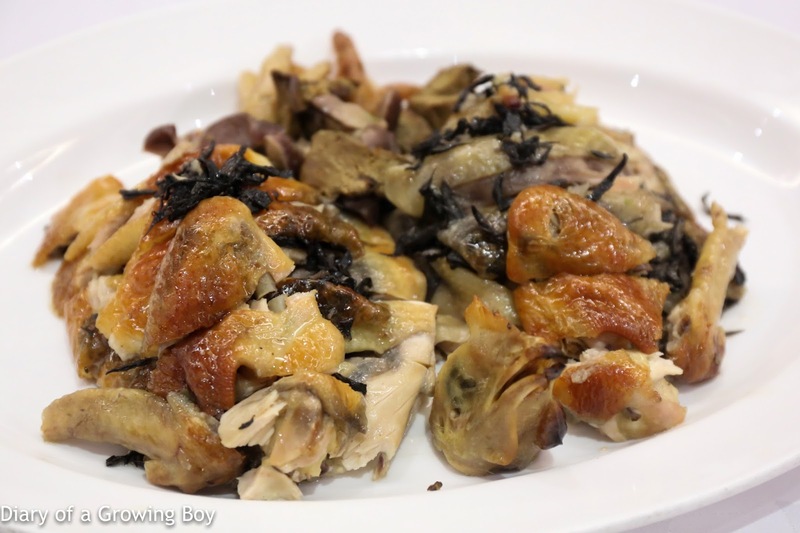 The presence of aged mandarin peel (陳皮) is immediately apparent, and yellowed chives also add their distinctive flavors to the mix. 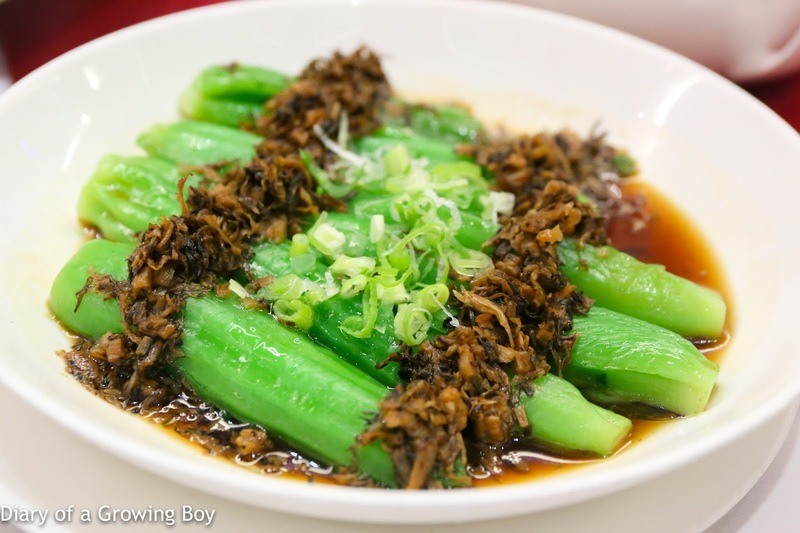 Braised winter melon with bird's eye chili (野山椒炆冬瓜) - this dish has got some kick! 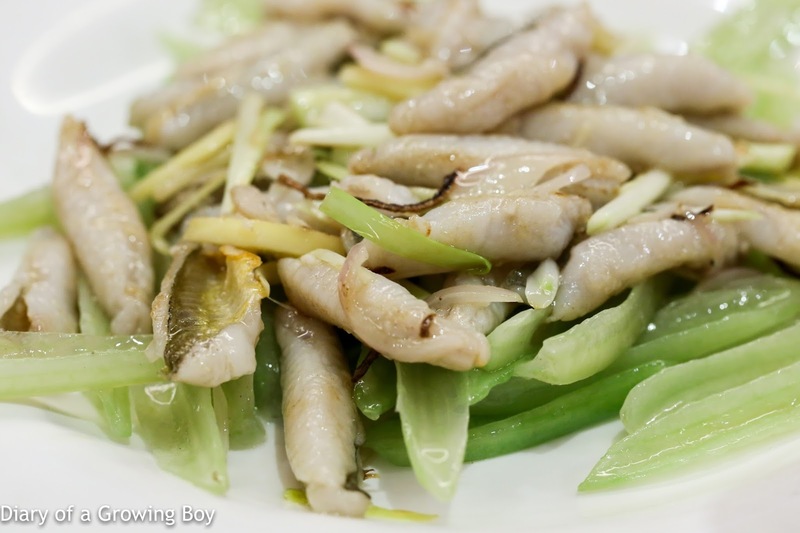 Along with chunky slices of winter melon and termite mushrooms (雞㙡菌), there was also Chiuchow-style preserved olive mustard leaf (潮州欖菜), as well as pickled wild mountain peppers. Pretty tasty, but not good for a wine-tasting palate. 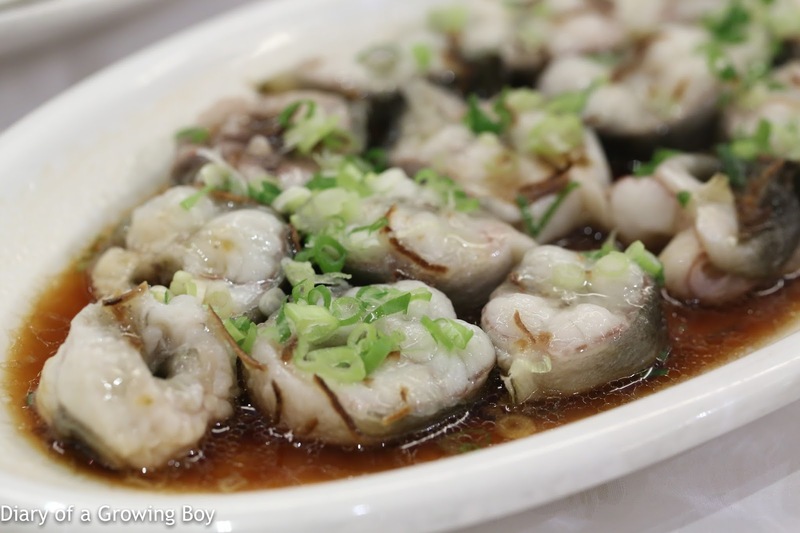 Steamed wild-caught Japanese eel (清蒸海白鱔) - this is wild-caught from the ocean and not farmed eel, so the texture was unlike what we would normally see at other Cantonese restaurants around town. Indeed the texture was incredibly springy and bouncy, with a certain level of crispness. Normally I dread the thought of having Japanese eel at Chinese restaurants, because inevitably I would be faced with the taste of mud on my tongue. Not tonight. There wasn't the slightest trace of that unpleasant taste whatsoever, and of course the presence of preserved mandarin peel also helped. Very nice, and one of the best plates of this I have ever had. 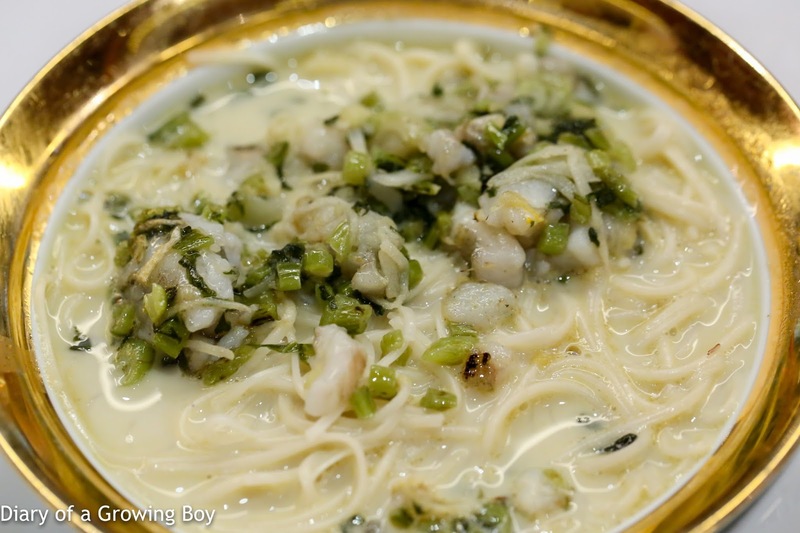 Steamed mustard green stems with preserved leafy mustard (梅菜蒸芥膽) - this was an interesting dish because it featured essentially the same vegetable with two different parts and preparations. 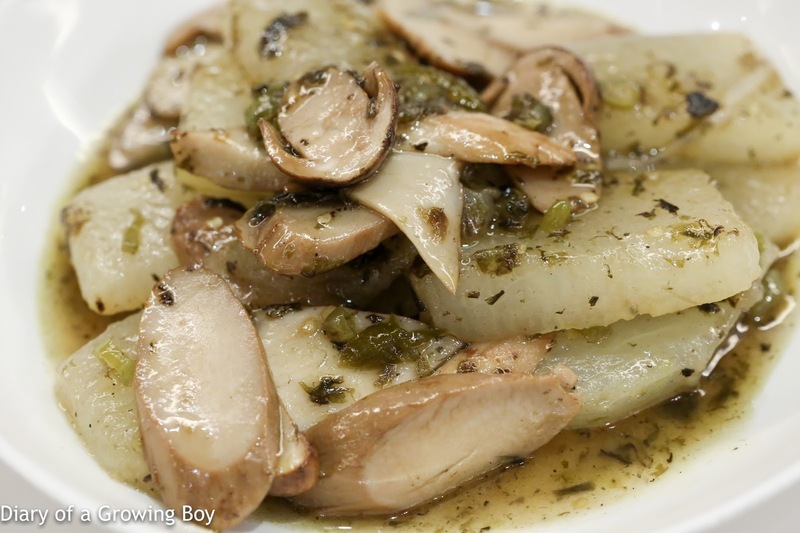 The lower part of the stem of mustard green was kept fresh, while the leafy portion was diced and preserved. 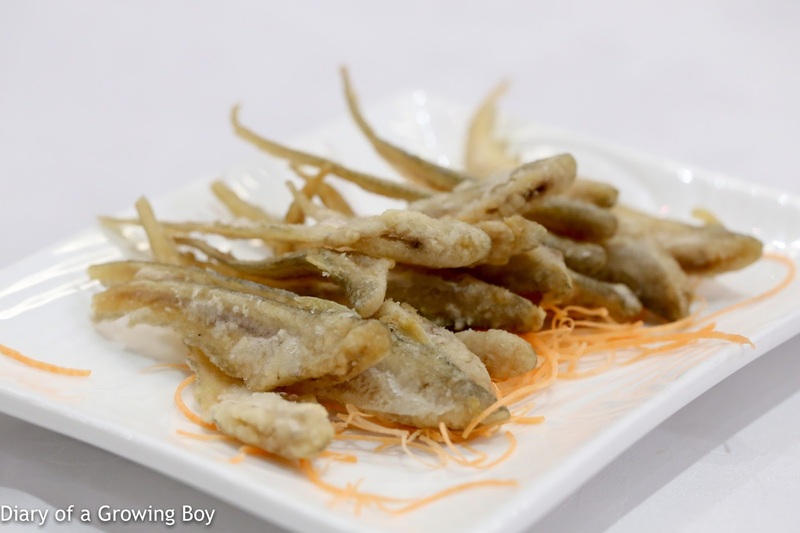 The preserved mustard greens (梅菜) was rather crunchy compared to what other restaurants tend to use. 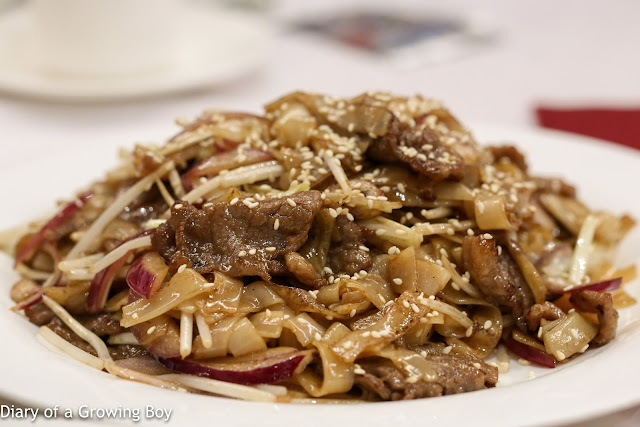 Stir-fried rice flour noodles with beef (干炒牛河) - Gaggan mentioned that this is his favorite dish in Cantonese cuisine, and he would order it multiple times whenever he's in Hong Kong. So of course the kitchen immediately whipped up a plate for us. We declined the generous offer of dessert, although I saw Gaggan try out the coconut milk jelly (椰汁糕) brought out as mignardises. Roses de Jeanne Côte de Val Vilaine Blanc de Noirs, vintage unknown - very smooth and slightly sweet on the palate. 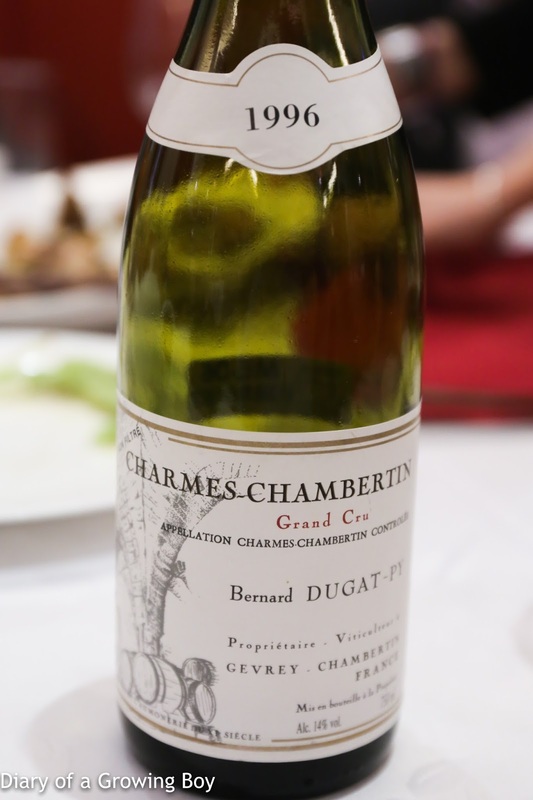 1996 Dugat-Py Charmes-Chambertin - opened 1 hour prior to serving, not decanted. Very smooth on the palate. Fragrant with cedar notes, a little sweet fruit, almost a little vanilla. Pretty good but was kinda expecting a little more. It was a lot of fun catching up with Gaggan. He seems to be chock full of stories so it's no surprise that he's often the life of the party. Looking forward to catching up with him in Bangkok again soon!